Matt and his family go on holiday to Florida! After their perilous adventure in the Amazonian Rainforest, it's time to relax. But, much to Mum's despair, when Matt, Jo and Dad hear rumour of long-forgotten dinosaur eggs lying in a shipwreck at the bottom of the ocean, they can't resist diving in to investigate. This should be an easy mission, but there's a storm brewing, and something about the boat in the distance is troubling Matt ...Join Matt and his family on their second thrilling egg-seeking adventure. 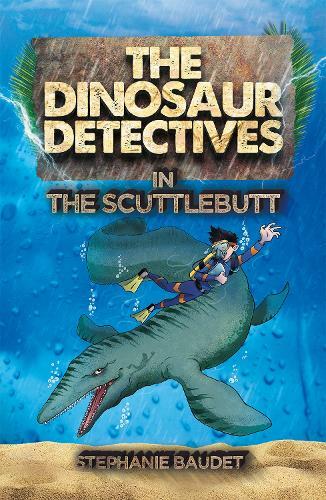 The Dinosaur Detectives is a fun filled adventure series following the story of Matt Sharp and his family as they hunt for dinosaur eggs. This fact meets fiction series is great for inspiring the young explorer and particularly popular amongst readers aged 7+. Dinosaur lovers can head to www.sweetcherrypublishing.com for more activities and fun.